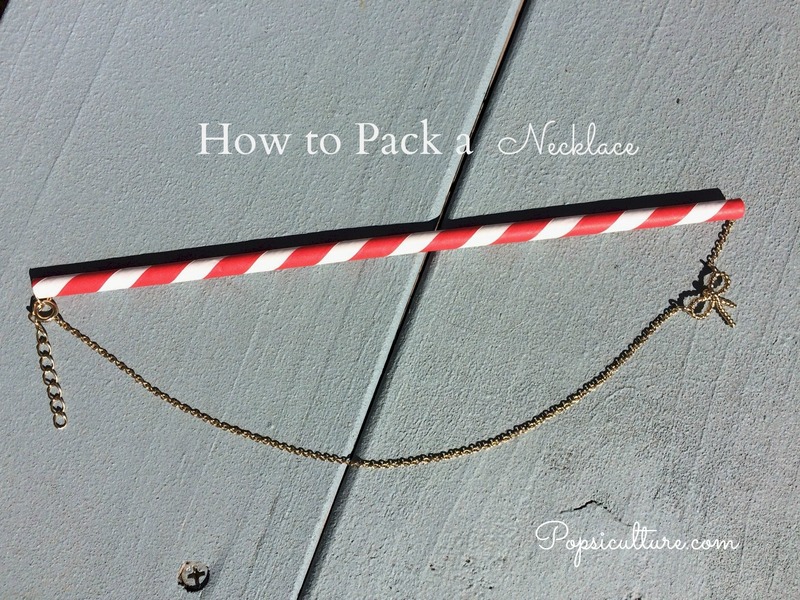 I recently saw this how to pack a necklace trick/life hack on “The Today Show” and put it to the test a couple weeks ago when I was traveling to Los Angeles. It works; and in fact is quite genius. I’m kind of upset I didn’t think of it myself. Unhook your necklace and feed one end through the straw. When you get to the other side, clasp the necklace together. I had several necklaces, and therefore several straws with me. I laid them all in a small, rectangle shaped cosmetic bag where they were unharmed during my trip. If by chance your necklace does get a knot in it, I hear olive oil works well, but I’ve yet to try that out myself. This is brilliant! Pinning it for later! !